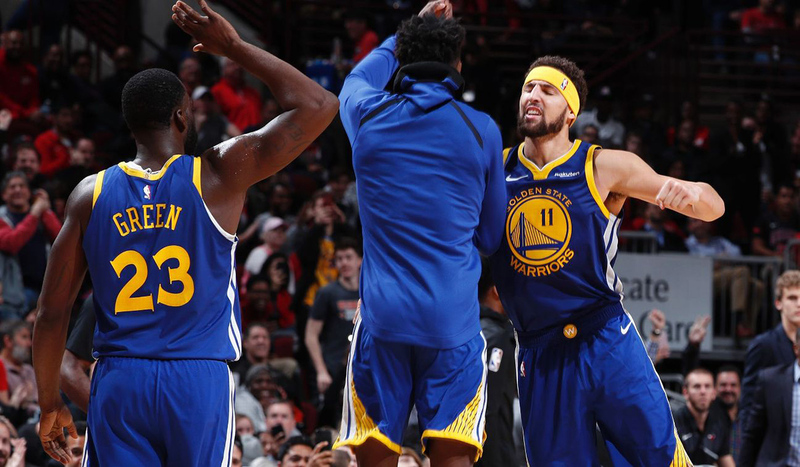 Golden State Warriors two guard Klay Thompson set a new NBA record by knocking down 14 3-pointers on Monday night against the Chicago Bulls. Thompson went 14-for-24 from beyond the arc and 18-for-29 from the field, racking up 52 points in 27 minutes while raining down shots from all over the floor. Klay Thompson has the NBA’s all-time record for three-pointers made with 14 here in Chicago — passing Steph Curry. Curry’s record of 13 three-pointers in a game didn’t last long seeing how he set it in November 2016 against the New Orleans Pelicans. In the first half, Thompson’s 10 3-pointers tied Chandler Parsons’ record set in 2014. The Warriors also set an NBA record for 3-pointers made in a half by knocking down 17 in the first half.